This entry was posted	on Monday, November 26th, 2007 at 8:10 pm	and is filed under Photog. You can follow any responses to this entry through the RSS 2.0 feed. You can leave a response, or trackback from your own site. 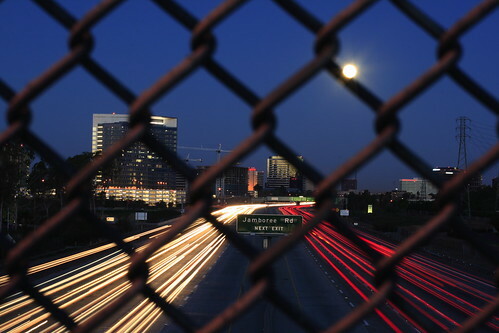 haha i like the 2nd pic of the free way..the slightly blurred fence brought attention to the clearer back ground..being the focus..nice..
Is it possible to take a photo showing the light trails from cars while still getting a clear (not overexposed) shot of the moon; without using the double exposure trick? Wow…those are great shots! It isn’t every day (night?) you get to see the moon give off that kind of light but it still makes for a FANTASTIC shot! The last picture is gorgeous. I don’t think I’ve ever seen taillights blend so seamlessly. It makes me sad that I gave up photography so many years ago. did you just change the shutter speed to get that shot? I gotta say I’m getting tired of digital photography. there is just too much of it now. Every concert has a hundred kids with digis taking pics of the band. every bar has that gaggle of kids with the camera. etc. 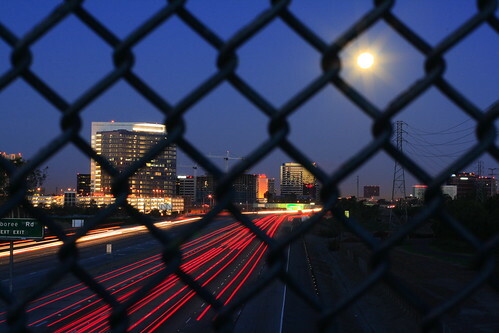 Its a shame cause its kinda taking away from true photography. Although, I did like the effect the moon had in your photo. well done.